We recommend this leather conditioner for our light leather armor, all belts, boots and pouches. 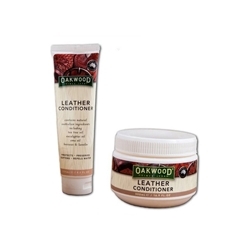 This conditioner is expertly formulated to preserve and protect leather while repelling water. This is a must for re-enactments or faire goers who wish to keep their leather wear in great condition. This formula won’t permanently darken leather or rub off on your clothing. Contains natural ingredients from Australia including tea tree oil, emu oil, beeswax, lanolin and eucalyptus oil.